600 People die of accidental gunshots in the US each year. Guns don't kill people. Careless gun owners do. 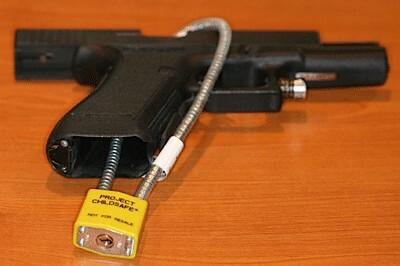 Leaving a gun loaded when you are not about to shoot it is irresponsible. Most gun accidents are completely avoidable. It takes mere seconds to load a gun. It takes mere seconds to unload and clear the breech. 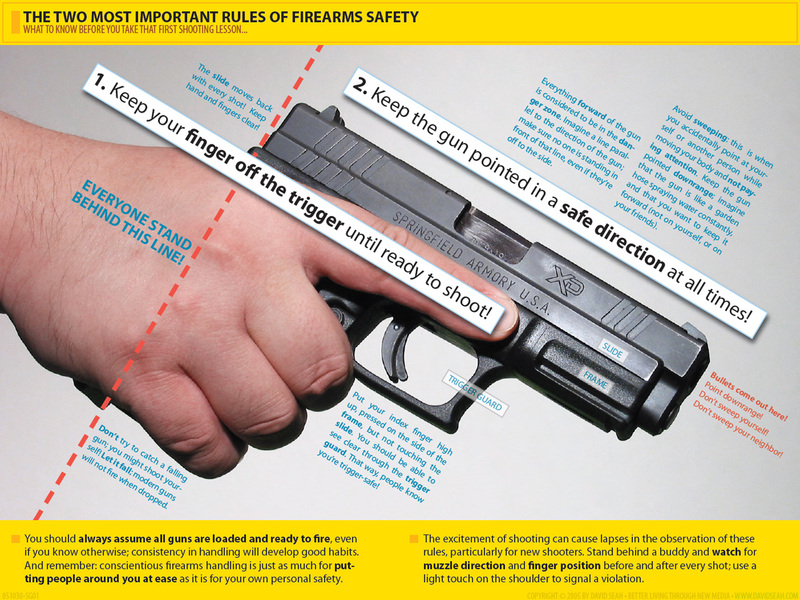 Always ensure your gun is unloaded, with the breech visibly clear, with the safety on before you set it down. Then, having made absolutely sure it is unloaded. Treat it like it is loaded, all the time. Never point it in an unsafe direction. Never pull the trigger unless it is pointed at target. Even if you think you know it is unloaded. Protip: Use a chamber flag when at the range for the ultimate in courtesy to those around you. (CNN) A 4-year-old Tennessee boy picked up a loaded gun and it went off, killing the wife of a sheriff's deputy at a family cookout, state police said Monday. Josephine Fanning, 48, and her husband, Wilson County Sheriff's Deputy Daniel Fanning, were entertaining family and friends at their Lebanon, Tenn., home Saturday evening, Tennessee state police spokeswoman Kristin Helm told the Los Angeles Times, when Daniel Fanning started showing his guns to a friend in his bedroom. A 4-year-old boy at the cookout walked into the room with Josephine Fanning and picked up a loaded handgun from the bed and it went off, Helm said. People get shot with "unloaded" guns every day.